Do you know the truth about business loans? In today’s click-to-borrow culture, why is it that talking about debt seems like the last great taboo? Our don’t-ask-don’t-tell attitude about business loans often obscures the hard but helpful truth about how to use debt to grow your company. Take a look at the list below, and see if you are being held back by these 10 myths about borrowing. All loans have to be paid back. Believe it or not, some of the best loans never have to be paid back. Called “convertible loans“, these allow a successful business to convert the borrowed amount to an equal value of stock in the company. You may not want to give away stock, of course, but knowing that you have an alternative to paying back the loans can give you the flexibility to grow larger faster. I can’t afford the payments. Loans that require interest only payments and “negative amortization loans” are just two examples of loans where payments are much smaller than you might expect. Be aware that each of these will be more expensive than traditional loans in the long run, but the smaller payments may be a good fit for a rapidly growing business. Traditional loans can be made more affordable by negotiating a longer payback period or an adjustable rate that starts low and then “floats” as rates change. As long as I make my payments, I’m ok. Don’t let the dark side of debt catch you off guard. Larger loans from institutional lenders (like banks, or corporate finance companies) will include very specific loan terms, called covenants. Loan covenants can require you to keep a certain amount of cash on hand, or to meet strict profitability targets. Breaking even just one covenant can cause the bank to demand immediate repayment of the entire loan amount. Negotiate carefully, and read the fine print. Debt is dangerous. This is the most unfortunate misconception about borrowing. In fact, a reasonable amount of debt can be a vital building block for a healthy and fast-growing business. Debt provides leverage, which not only helps you accomplish more but also improves the financial return from your business. Even a fast growing businesses will fail if it runs out of cash. Rapid growth needs to be back-stopped by a deep ability to borrow. Only banks make loans. In fact, banks make fewer than half of all business loans. Most come from “non-bank lenders”, including finance companies, charitable organizations, community development funds, wealthy individuals and angel investor groups. And the best news is that these lenders make the kinds of loans that banks can’t or won’t. There are now as many flavors of loans as there are reasons to borrow. Debt is Expensive. Actually, compared to the alternatives, debt may seem intoxicatingly cheap. A three year loan at 20% interest is still less expensive than taking on an equity partner who owns 20% of everything…forever. In any event, it is always best to measure the price of a loan against the return you expect to make on the money when you put it to use. Borrow only when the rate of interest is lower than the rate of return. All loans are basically the same. Its tempting to lump all lenders together, but in truth, each has its own reason for lending and its own criteria. That’s good for you (the borrower) because different kinds of credit should be used for different kinds of expenses. Just as a house is best financed with a 30-year mortgage, most business purchases should be matched with a loan of a size and term that roughly matches the size and term of what is being purchased. The best loans are custom tailored to the business need. All loans require collateral. Not quite. Credit cards are the most obvious exception to this rule of thumb, but there are many other kinds of “Unsecured Credit”, which rely on your personal credit score or the health of your business (or both). “Cash flow loans” rely simply on a business’ ability to make payments from profits. Sophisticated and reputable cash flow lenders will expect you to have a solid growth plan and financial projections to show how the money will be paid back. Of course, these loans are higher risk, so they typically carry a higher interest rate. I don’t have any collateral. Sure, not everyone has a home or building to borrow against. But if you are committed to owning a business, dig around for the hidden assets in your life. 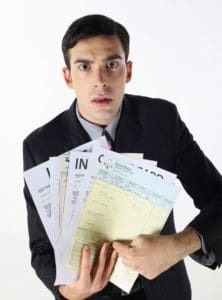 Many lenders are able to use Certificates of Deposit, stock accounts, cars, boats, and other personal assets (including your home, of course) as collateral for a business loan. And don’t forget that the business assets you most need to purchase often make their own collateral. Most equipment vendors, for example, will be able to recommend leasing companies to cover the up front cost of big-ticket items. I’d have to put my house on the line. Almost every lender will ask for your personal guarantee on a small business loan, and often that guarantee includes pledging anything of value, including your home, car, and first-born son. Don’t despair. Set boundaries for yourself and your lenders, then negotiate loan terms that will let you sleep at night. Everything is negotiable. Borrowing is never something to be taken lightly, so get the facts. Knowing how loans work, and how they can work for you, is the first step to successful borrowing. P.S. Want to learn more about how to find funding to fit your needs? Download my free e-Book, The Colors of Money and learn more about strategies to finance your business. Ready to talk? Sign up to have a conversation about your business’ potential, with one of our experienced CFO-level advisors.